Insurers need granularity around business performance to be able to respond dynamically to changing market conditions to be more competitive. By understanding more about the individual risk they are insuring and customer behaviour across all channels to market, insurers can provide the most accurate, tailored price and optimise cross-sales. As the number of external data sources and providers continues to grow, insurers need to ensure they can consume this effectively, along with all their own customer knowledge. Most insurers do not have a real-time whole of market view. To be able to react to what is happening right now, insurers need immediate visibility of their book, as well as an understanding of the business they quoted on or lost. Being able to self-service changes to their rates, prices and other business rules empowers the business to be in control and provides the agility to react quickly. By implementing a single platform for whole of market rate distribution, deployment costs are reduced, as it only needs to be done once. Insurers need a single solution, such as SSP Intelligent Quotes Hub, that provides whole of market visibility and customer transparency, as well as enabling them to self-service changes. By choosing the correct technology partner, insurers can benefit from both innovative technology and trading experience to smoothly transition from analogue to digital pricing. A number of insurers have already taken this on board, meaning those who are not doing so are operating at a disadvantage to competitors with greater insight. Being an insurer in the current climate is tough. 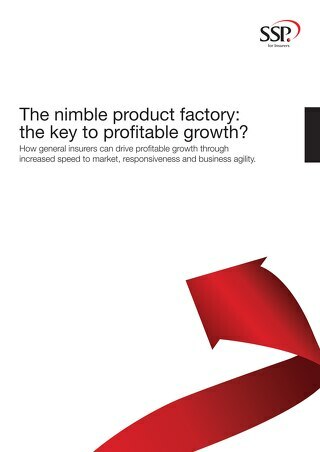 There’s continuous pressure to win new profitable business, drive down costs, provide great customer service, increase renewal retention and keep one step ahead of the competition. 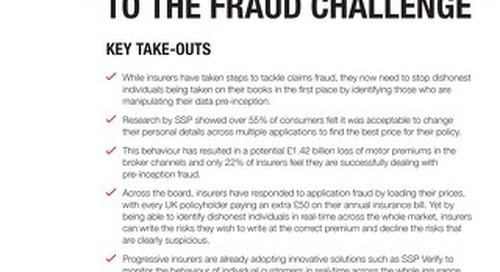 Analysis of the private car data processed by SSP in 2015 showed how insurers have been working to achieve all of this. They were slower to increase rates for renewals, meaning there was a less compelling need for existing customers to shop around in the first half of the year. That all changed in the second half of 2015, when rates for renewals rose sharply year-on-year compared to minimal increases for new business. Even when Insurance Premium Tax (IPT) rose 3.5% in November 2015, insurers absorbed the cost for new business, with a year-on-year average premium increase of just 0.11% that month. On the other hand, insurers loaded their post-IPT rates for renewals, where premiums jumped by 4.3%. What will this mean when the further 0.5% increase in IPT comes into force in October? With the market rewarding new business customers, consumers are increasingly aware of this and shop around at renewal for better pricing. Insurers therefore need the granularity to be able to respond dynamically to changing market conditions going forward. By understanding more about the risk they are insuring and customer behaviour across all channels to market, insurers can provide the most accurate, tailored price for that individual , rather than just relying on an aggregate risk profile or demographic. It’s not about providing cheaper or more expensive insurance, it’s the ability to offer each customer an insurance price that is tailored to their individual risk instead of an off-the-peg policy rate. Whereas once all 30-year-old men driving a 1.3 litre Fiesta might have paid £500, now insurers are providing more accurate pricing and rating regarding an individual’s demographic, personal profile, credit score and behaviour. Many insurers have already got great knowledge of customers, whether they are previous customers or have made a claim in the past, so why not utilise all this insight to provide more accurate pricing? After all, what’s the negative about having greater insight about the risk being insured? With all this acumen in place, it is not just the price that can be tailored to the customer, the product can be too. By identifying additional covers that individuals would find of benefit, such as breakdown or legal expenses, insurers can put next best action rules in place to optimise cross-sales at the next touchpoint. It is not just an insurer’s own information that is relevant — they also need to enrich this with data from third parties. The number of external data sources and providers is only set to grow and grow, so insurers will need to ensure they can consume and integrate this effectively. Once their data has been enriched, this can be cached and reused, so insurers don’t need to source and pay multiple times for the same resources. Some insurers have already taken this on board and have adopted the ability to price more accurately, meaning those who are not doing so will lose out. At the moment, most insurers do not have a real-time whole of market view. As they do not have immediate visibility of their book, these insurers can only see what has happened after the event and not act proactively. Intermediated insurers only see the business written, not the business quoted on or lost, and they only see what they have written the next day. Having greater visibility of performance leads to actionable insight, with insurers then able to react quickly to increases or decreases in their market share. Undercutting their competitors by 5% may mean insurers get a lot of business, but is it the business they want and do they want to be 5% cheaper? Insurers need to be able to test elasticity and propensity models that enable them to increase pricing in response to market conditions until they hit the point where there is a negative impact on demand. Conversely insurers can use real-time intelligence to manage the business written to match their capacity by amending their rates. Being able to self-service changes to their rates, prices and other business rules empowers the business to be in control and provides the agility to respond dynamically to market conditions. With the often time-intensive process of distributing products to software houses removed, self-service increases speed, drives up efficiency and acts as a catalyst to promote innovation and win new profitable business. 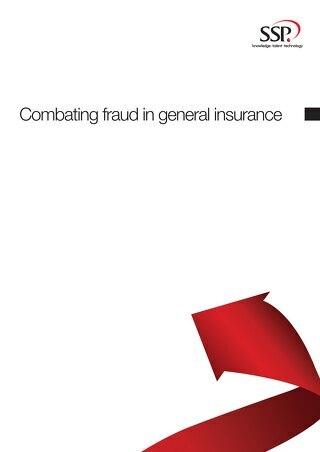 Insurers have the opportunity to run selected pricing in stealth mode to test the market. For example, soft launching new products or testing new ratings for a specific subset of the market, such as specific brokers or postcodes. Once they understand what action needs to be taken, the work transfer from IT users to business users places the ability to change product and price rates firmly in the hands of the underwriters. When such risk rating and pricing flexibility is combined with real-time visibility across the whole market, insurers can change their rate multiple times a day in response to what is happening right then. 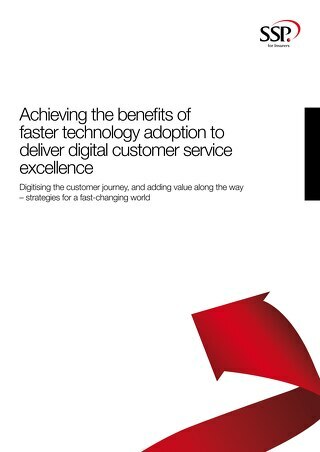 Self-service is not the only way insurers can achieve profitable growth and increase efficiency. By implementing a single platform for whole of market rate distribution, deployment costs are reduced, as it only needs to be done once. The true level of insight some insurers are gaining before providing an accurate, tailored price for individual customers is demonstrated in the diagram below. With all this knowledge, they understand whether a person is a good or a bad risk, while their competitors are taking a gamble without knowing the true odds. The need to have all these competencies in place applies to all insurers. Those who distribute via brokers need the same capabilities as direct insurers to be able to compete with them. Without these abilities, intermediated insurers who continue to write the wrong type of business at the wrong price won’t be here in three years’ time, so the time for them to take control of their destiny is now. Insurers should ideally have a single solution, such as SSP Intelligent Quotes Hub, that provides whole of market visibility and customer transparency, as well as enabling them to self-service changes. SSP Intelligent Quotes Hub is an automated whole of market product rating and quotation solution that brings risk selection, data enrichment and pricing together in a single place, enabling insurers to apply rates consistently and instantly across the market. Over the last couple of years, we have seen insurers exiting or retreating to niche markets as they didn’t evolve with the market. And some insurers that have gone it alone when launching insurer-hosted pricing seem to have failed to price appropriately and lost their competitive position. For an insurer to be able to transform their pricing and rating, it is not enough just to have innovative technology in place – it needs to be backed up by the right processes and people. Additionally, without a single hub that covers the whole of the market, some of the benefits of insurer-hosted pricing are eroded, as it is impossible to fully monitor customer behaviour. 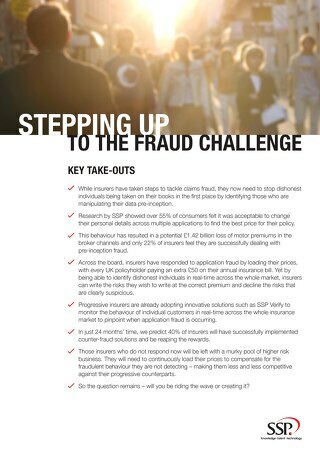 All of this means that insurers who lack a single customer view and fail to change their processes and protocols will restrict their ability to fully utilise new technology to make instant pricing changes and rate fully for risk based on customer insight. This is likely to result in them losing their pricing edge and not being able to respond quickly to requests, potentially leading to a loss of confidence from key supporters. 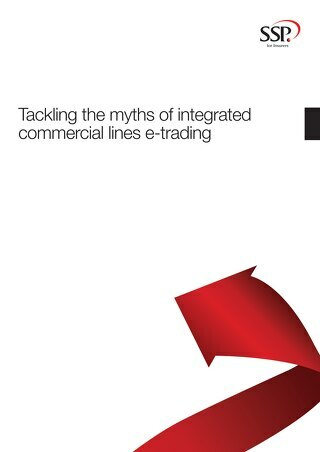 It is important for insurers to work with a trusted distributor who has enough contextual trading data to enable insurers to successfully transition from analogue to digital pricing without damaging their market position. By choosing the correct technology partner, insurers can benefit from both innovative technology and trading experience to implement an insurer-hosted pricing solution. 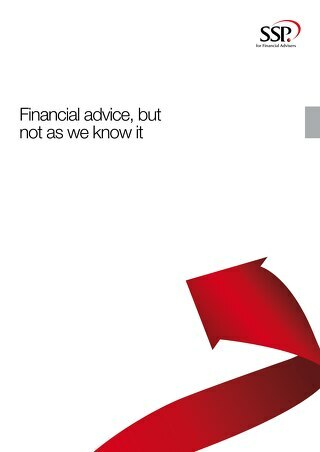 They can then risk rate and price more accurately and maintain their market position. At SSP, we have more than 30 years’ experience and industry expertise, so we not only provide the technology with SSP Intelligent Quotes Hub, but also contextual data, whole of market visibility and distribution. A large number of insurers have already benefited from implementing new data and real-time insurer-hosted pricing innovations. Insurers need the granularity and flexibility to respond dynamically to changing market conditions. By utilising the insight they have about customers and enriching this with data from the ever-growing number of third party sources, insurers can price accurately based on individual risk. With a real-time whole of market view, insurers have immediate visibility of their book of business and can assess the impact of testing new rates. As a result, they can react instantly to increases or decreases in their competitive position. Being able to self-service these changes puts control firmly in the hands of the underwriters, so the business has the agility to respond to what is happening in the market immediately. SSP Intelligent Quotes Hub is an automated whole of market product rating and quotation solution that provides whole of market visibility in real time and customer transparency. When combined with contextual trading data, it provides a complete package for all insurers. By having the same capabilities as direct insurers, those who distribute via brokers are able to compete with them. A number of insurers have already taken their blinkers off to see the market clearly, so those who insist on keeping their head in the sand will lose out and operate at a disadvantage. With more than 30 years’ experience and industry expertise, we develop and implement technology solutions and back office systems that enable our customers to reduce the cost of their operations, increase their distribution and create a better customer experience — improving our customers’ profitability and effectiveness.